For testing power consumption, we took our test system and plugged it into a Kill-A-Watt power meter. For idle numbers, we allowed the system to idle on the desktop for 15 minutes and took the reading. For load numbers we ran three games at 1920×1080 and averaged the peak results seen on the power meter. 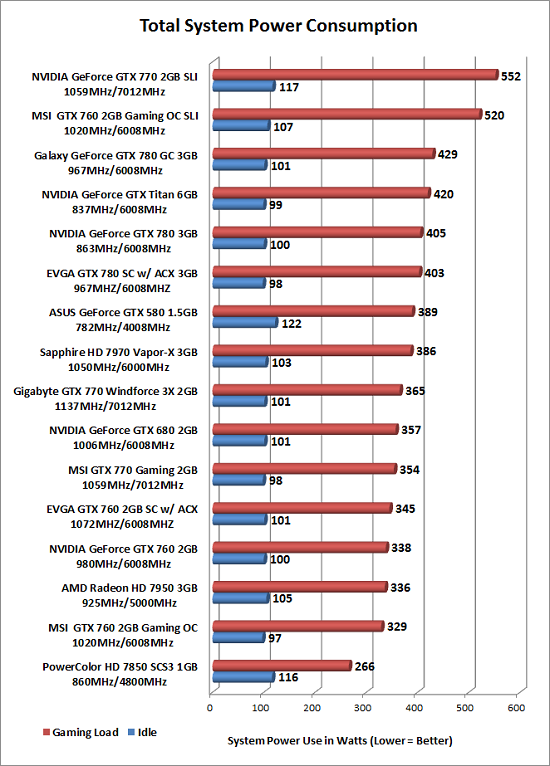 Power Consumption Results: The EVGA GeForce GTX 760 2GB SC w/ ACX Cooling used just a tad more power at idle and load compared to the NVIDIA GeForce GTX 760 2GB reference card. 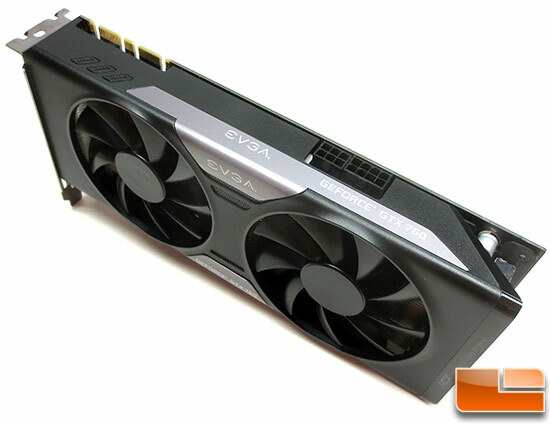 This was expected as it comes overclocked from the factory and has an additional fan and all that. During gaming sessions we averaged a peak Wattage of 345 Watts, which is well below the 550W PSU that is recommended for this card.